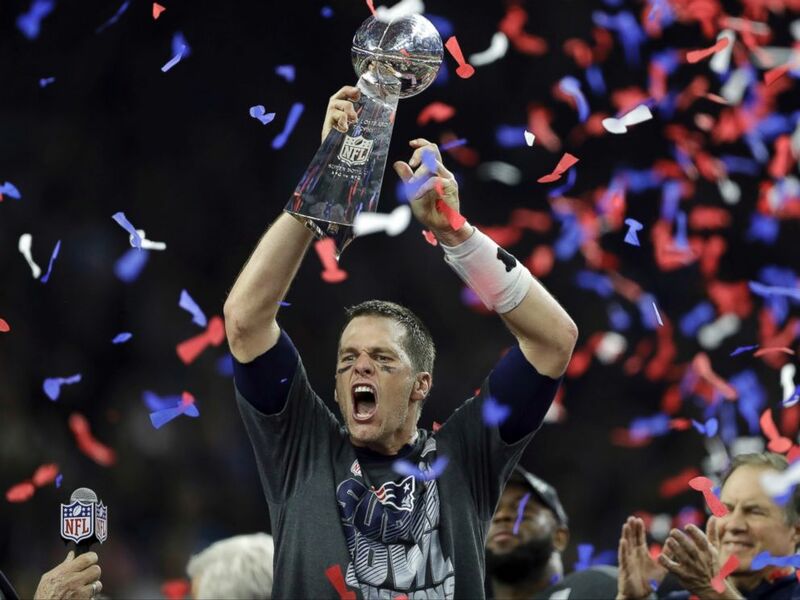 New England Patriots star quarterback Tom Brady was named most valuable player for Super Bowl LI after the Patriots erased a 25-point deficit en route to a stunning 34-28 overtime victory over the Atlanta Falcons. This is the fourth Super Bowl MVP title for Brady. Super Bowl LI was historic on many fronts: It was the biggest come-from-behind Super Bowl victory, the first Super Bowl overtime and a record fifth Super Bowl win for Brady and Patriots head coach Bill Belichick. An emotional Brady broke down on the field after running back James White ran 2 yards for a touchdown, cementing the Patriots' thrilling comeback. The Atlanta Falcons dominated the first half of the game, going into halftime with a 21-3 lead. But 25 unanswered points by the Patriots pushed the teams into overtime, and the rest is history. Brady embraced his family as the Vince Lombardi Trophy was presented to Patriots owner Robert Kraft, who called this win the "sweetest" of all. NFL commissioner Roger Goodell speaks to Tom Brady of the New England Patriots after defeating the Atlanta Falcons during Super Bowl 51 at NRG Stadium in Houston, Feb. 5, 2017. 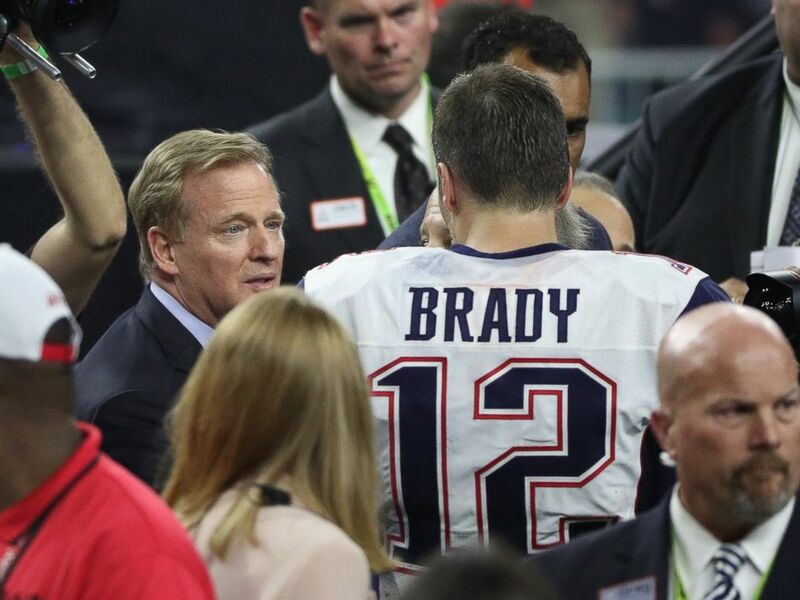 NFL Commissioner Roger Goodell congratulated Brady on the field, and the pair shook hands. Goodell suspended Brady for the first four games of the 2016 season for his role in the "Deflategate" controversy. This championship game was the Patriots' ninth trip to the Super Bowl — the most in the NFL. Commentator Terry Bradshaw declared Belichick the greatest coach and Brady the greatest quarterback in NFL history. Brady's children joined him onstage as he celebrated the win. "We're bringing this sucker home" to Boston, Brady said of the Lombardi Trophy.